We are instrumental in offering our clients with a quality range of Stainless Steel Fasteners that is fabricated using stainless steel and nickel alloy. Highly appreciated for its high tensile strength, rust resistance and durability, these fasteners are available in different sizes. 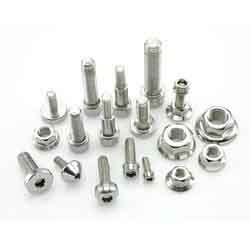 Available in several grades like industrial washers, industrial screws, stainless washers, threaded rod and stainless screws, these fasteners are extensively used in various industrial operations. We are engaged in offering Industrial Screws which are designed and developed while taking into consideration the defined parameters of the industry. These are available in different sizes and specifications. Duplex Steel Standards : UNS No.S 31803, S 32205. Alloy Steel Standards : Astm / Asme A/Sa 193 / 194 Gr. 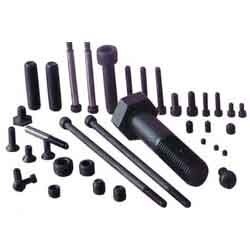 Our range of Hex Bolts & Hex Screws are is widely used for high-end industrial purpose and automobile industry. These are acknowledged for wear & tear resistance, cost effectiveness, and long functional life. 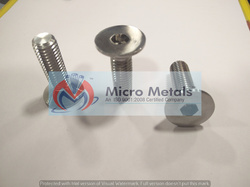 The Hex Head Bolts offered by us are at par with international quality standards. These are available in various shapes and sizes, and other customized forms as per client's specifications and details. 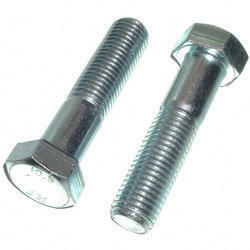 We offer these bolts in various grades to suit the application area at industry Competitive prices. Stainless Steel304 (B8) , 316(B8M) , 316 L , 316Ti , 317 L , 310 , 321H (B8T) , 347H (B8C) , SS 410 (B6) , 904 L (UB6) , A453 GR 660 A/B/C & D.
Duplex & Super Duplex SteelUNS S31803 1UNS S32205 (F 51), UNS S32750 (F 53), UNS S32760 ( F 55), UNS S31254 (SMO 254 ). High Nickel AlloysMonel 400 , Monel K 500 , Incoloy 600 , Incoloy 625 ,Incoloy 800H, Incoloy825 , Incoloy 718, Inconel X- 750 , Alloy 20 (CB 20), Hastelloy C 276, Hastelloy C 22, HastelloyC4. Other AlloysTitanium Gr 2 , Titanium Gr 5 , Aluminium Bronze ( AB 2) , Phosphorous Bronze (PB). Dimension range5/16" (M6) up to 4" (M100) for all grades. Hexagonal Nuts are Designed to perfection, these nuts possess close tolerance and precision dimensions. Our quality controllers undertake stringent quality measures in order to provide our clients a flawless range of nuts. Further, to retain the trust of our valued clients, we also provide them with certificate regarding testing parameters undertaken by our organization. 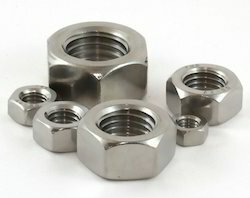 We offer our range of Hexagonal Nuts in various sizes, thickness & dimensions, and material grades. 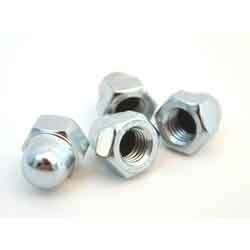 These nuts meet the requirements of hardware, engineering, electrical and various other industries. We also customize our range of Hexagonal Nuts to meet the different requirements of our clients. Further, our range can be availed at market competitive prices. Stainless Steel304 (B8), 316 (B8M), 316 L, 316 Ti ,317 L, 310, 321H (B8T), 347H (B8C), SS 410 (B6) , 904 L (UB6) , A453 GR 660 A/B/C & D.
Duplex & Super Duplex Steel : UNS S31803 / UNS S32205 (F 51), UNS S32750 (F 53), UNS S32760 (F 55), UNS S31254 (SMO 254). High Nickel AlloysMonel 400 , Monel K 500, Incoloy 600, Incoloy 625, Incoloy 800H, Incoloy 825, Incoloy 718 , Inconel X - 750, Alloy 20 (CB 20) , Hastelloy C 276 , Hastelloy C 22, Hastelloy C4. Other Alloys : Titanium Gr 2, Titanium Gr 5, Aluminium Bronze (AB 2) , Phosphorous Bronze (PB). Dimension range : 5/16" (M6) up to 4" (M100) for all grades. We manufacture range of Plain Washers in different size options, dimensions, and finishes to suit different industrial applications. These are in high demands in the competitive market owing to their dimensional accuracy, high tensile strength, abrasion resistance, flawless finish, and durability. 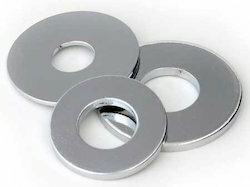 Our range of Plain Washer is quality tested on well defined parameters by our team of quality controllers. We also manufacture different types of washers as well i.e Tab Washers, Heavy Duty Washers, Tooth Washers, etc. To satisfy our clients fully, we also provide them with testing certificate. 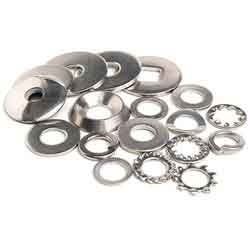 Our plain washers are also available in customized forms and at market competitive price. Stainless Steel304 (B8) , 316 (B8M), 316 L, 316Ti ,317 L, 310, 321H (B8T), 347H (B8C), SS 410 (B6) , 904 L (UB6) ,A453 GR 660 A/B/C & D.
Duplex & Super Duplex SteelUNS S31803/UNS S32205 (F 51), UNS S32750 (F 53), UNS S32760 (F 55), UNS S31254 (SMa 254). High Nickel AlloysMonel 400, Monel K 500, Incoloy 600, Incoloy 625, Incoloy 800H, Incoloy 825, Incoloy 718, Inconel X - 750, Alloy 20 (CB 20), Hastelloy C 276, Hastelloy C 22, Hastelloy C4. 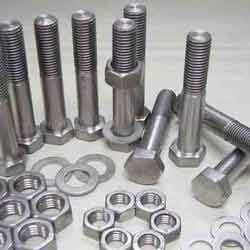 We offer to our clients Industrial nuts made using supreme quality raw material under the strict vigilance of quality controllers. These are available at economical rates in the market. 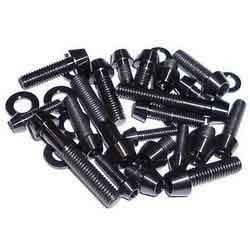 We offer to our clients Industrial Bolts. These are widely used in fence fittings and hydraulic fittings. These are made up of high quality material and are highly appreciated by our clients. 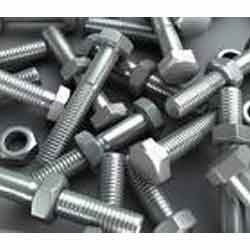 Our range of Industrial fasteners also comprise of Inconel Fasteners. · Size: 1/2" TO 6"
We offer T-Slot Nut which are manufactured from Steel to ensure high tear resistance. These are hardened and tempered with Class 8.8 (8G) where R = 80 or 90 kilogram per millimeter square. These find their application in assorted setting elements, hydraulic elements, jig fixtures and adopters. Basically used with machines comprising T-slots. · For use along with studs for work holding fixtures etc. 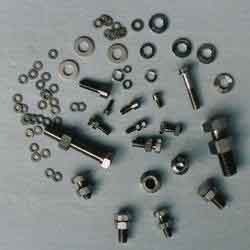 Banking on or technical expertise of the professionals, we supply a wide array of Slot Nuts. These products are highly demanded by the clients for their small sizes and easy installation. The offered products are available in the market in various specifications and shapes that can be purchased by the clients as per their requirements. Moreover, we provide assurance to deliver these products in committed period of time. · Size: 1/4" to 1"
We are manufacturer and supplier of Titanium Fasteners. 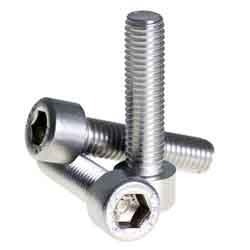 We are engaged in delivering an unparalleled range ofAllen Cap Bolts. These products offered by us are made using advanced machinery and innovative technology in adherence with the international quality norms and standards. This range is acclaimed in the market for rendering dependable fastening for a long time. · IOS R898 Class 4.6/5.8/8.8/10.9 etc. We manufacture high quality eye bolts as per IS: 4190 standard. These eye bolts are been manufactured with high quality mild steel and High tensile steels. 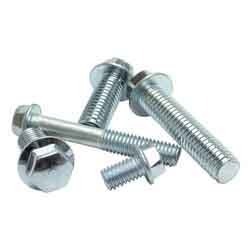 We are pleased to present a wide spectrum of Bolt Fasteners such as Flange Bolt. These are painstakingly developed by our teams of adept professional and manufactured in our state of the art facilities from the finest grades of metal alloys. In view of the diverse requirements of our esteemed clients we offer these in plethora of dimensions and specifications. Our discerning patrons can also avail these in customized specifications according to varied requirements. Our rigid standards of quality ensure flawless finish of these bolts that are robust in construction and have a long service life. Our clients can avail these at very reasonable rates. We offer a wide range of Dome Nuts, which are fabricated using high quality steel. These are available in two varieties Mild Steel Dome Nuts and Alloy Steel Dome Nuts. Further, we offer our dome nuts in various sizes to meet the different needs of our clients. 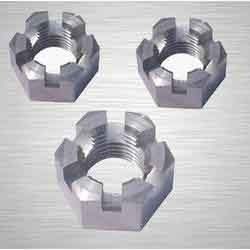 Being a quality focused organization, we manufacture and supply Nylock Nuts that are firmly constructed using high grade material. 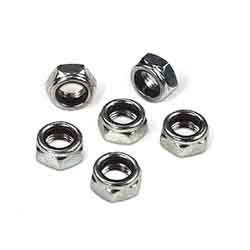 These nuts are facilitated with an insertion of nylon for nuts to be tight gripped and avoiding loose working. Further, our customers have the privilege of availing tailor made options of our products as per their specifications. Our products offer high durability and are dimensionally accurate, enabling smooth working of our nuts. 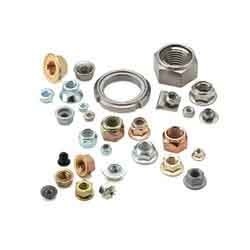 We offer these nuts at reasonable prices suiting the needs of our clients in the industry. 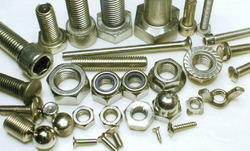 MICRO METALS is leading Suppliers of all kind of fasteners all over india and to leading companies in india. 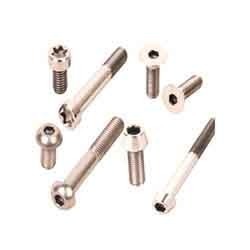 we are specialized in all kind of High Tensile fasteners, HT Fasteners and in all kinds of Bolts, Nuts & Industrial Fasteners in every kind of materials ie Stainless Steel, alloy steel mild steel, and any other material as per requirement. 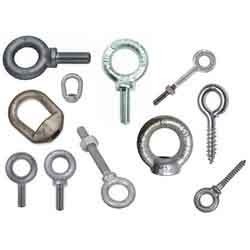 we also deals in clamps, Ball Bearings, and General Hardware as per requirement. 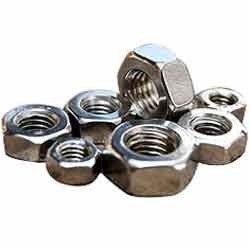 As an esteemed name of the industry, we are providing a precision-designed assortment of Industrial Nuts to our customers. Following industry defined norms and parameters, production experts manufactured the entire range by using modernize technology and premium grade basic material. In tune with clients' diverse requirements, we are offering these products in a wide range of specifications to suit the requirements of our clients. We are happy to introduce ourselves as one of the leading and trustworthy organizations involved in offering a vast range of Machine Screws, used in fixing or fitting various products. Following the precise demands and needs of the clients, we are offering these products in a variety of range and technical specifications, dimensions to meet the diverse demands of our respected clients. These products are widely acclaimed for their robust design and sturdiness. These products are available with us at feasible prices. We are one of the renowned importer, exporter and supplier of Slotted Nuts that are precisely designed by our professionals as per market demands and industrial specifications. Slotted Nuts are firmly constructed in our sophisticated facility using high grade material that is procured from the reliable sources. Our slotted nuts are available in varied grades, diameters and materials to suit the exact needs and demands of our clients. Besides, we assure timely delivery of quality tested slotted nuts. Our company is a fabulous manufacturer, stockist, supplier, exporter and trader of Nuts. These are used in several industries for their spectacular attributes like corrosion resistance, high efficiency, perfect finish, dimensional accuracy, cost effectiveness and long life. 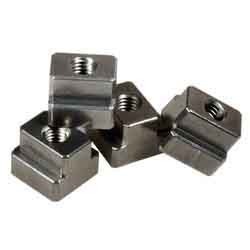 We can also provide these Nuts in several round sections, multi slots, steel castle, hex and slotted shapes. Professionals of our organization are appreciated for manufacturing the whole range from splendid quality materials that are bought from prominent sellers of the domain. · ASTM / ASME SB 472 UNS 8020 ( ALLOY 20 / 20 CB 3 ). · B 8 T( SS 321 ), A 2, A 4 // ASTM / ASME A 194 B 8 ( 304 ), B 8C ( SS 347 ), B 8M ( SS 316 ), B 8T ( SS 321 ).